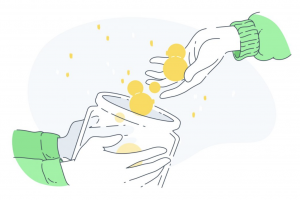 Today we announce a partnership with Uphold, the leading digital money platform, to have our donation tracking platform GiveTrack integrated with Uphold via API. Through the integration, users will be able to donate to any of the charitable projects on the GiveTrack platform using a number of cryptocurrencies including Ethereum, Litecoin, and Dash as well as 23 traditional global currencies. Previously, donations on GiveTrack were only made in bitcoin. Uphold is the creator of an open, trusted, and transparent digital money platform that lets users quickly and safely access traditional currencies, cryptocurrencies, and other investments all in one place. Uphold has powered more than $4 billion in transactions across 184 countries, in more than 30 supported currencies and four commodities. In addition to several new Venezuelan projects, GiveTrack has also launched a new project in partnership with theUkrainian Bone Marrow Donor Registry. Donations will support the registration of new bone marrow donors to help support the fight against blood cancer.